PLACER HILLS UNION SCHOOL DISTRICT. Administrative Law Judge (ALJ) Rebecca Freie, from the Office of Administrative Hearings (OAH), State of California, heard this matter on September 30, October 1, through 3, and October 8, 2013, in Weimar, California. Advocate Robert Closson, Ed.D. represented Student. Mother was present for the entire hearing. Student did not attend the hearing. Attorney Heather Edwards represented Placer Hills Union School District (District). Steve Schaumleffel, Superintendent of the District and Coordinator of Special Education for the District, was present throughout the hearing as the District’s representative. On May 29, 2013, Student filed a request for a due process hearing (complaint) with OAH. On July 8, 2013, OAH granted the parties’ joint request for a continuance. At hearing, oral and documentary evidence were received. The matter was then continued to October 18, 2013, to permit the parties to submit written closing arguments. The record was closed on October 18, 2013, upon receipt of the closing arguments, and the matter was submitted for decision. 1 For the record, Student’s closing argument is designated as Student’s Exhibit S-102, and the District’s closing argument is designated as District’s Exhibit D-47. 2 The Issues have been slightly re-worded and re-ordered for clarity in this Decision, and two issues from the order following the prehearing conference (PHC) have been combined. No substantive changes have been made to the issues as defined at the PHC and during the hearing. 3 Under California special education laws, a party must file a request for due process (complaint) no later than two years after the act or omission complained of has occurred unless certain exceptions apply that would toll this statute of limitations. (Ed. Code § 56505, subd. (l).) Student’s complaint was filed with OAH on May 29, 2013. Although Student’s complaint refers to events that occurred more than two years prior to the filing of his complaint, these facts, if proved at hearing, are not sufficient to support a tolling of the two-year statute of limitations. 2) Did the District deny Student a FAPE by failing to meet all legal requirements for the assessments it did conduct? 3) Did the District deny Student a FAPE by changing his eligibility category from hearing impaired to specific learning disabilities (SLD) at the individualized education program (IEP) team meeting on February 27, 2012? 4) Did the District commit procedural violations by predetermining Student’s IEPs at the IEP team meetings since May 30, 2011, and also failing to consider Parents’ input at the IEP team meetings, thus significantly impeding Parents’ right to meaningfully participate in the IEP development process? 5) Did the District commit a procedural violation by failing to have all required personnel at the IEP team meetings occurring since May 30, 2011, thus significantly impeding Parents’ right to meaningfully participate in the IEP development process? 6) Did the District commit a procedural violation by failing to provide Parents with prior written notice during the 2012-2013 school year as to why the District was denying Student services requested by Parents, thus significantly impeding their right to meaningfully participate in the IEP development process? 7) Did the District commit a procedural violation that denied Student a FAPE, and/or significantly impeded Parents’ right to meaningfully participate in the IEP development process by failing to adequately describe his present levels of performance in the IEP of February 27, 2012, and the draft IEPs developed during the 2012-2013 school year? 8) Did the District commit a procedural violation that denied Student a FAPE, and/or significantly impeded Parents’ right to meaningfully participate in the IEP development process by failing to adequately describe the supports and services contained in Student’s IEP of February 27, 2012, and the draft IEP’s developed during the 2012-2013 school year? i) Parent counseling and training? 10) Did the District deny Student a FAPE by failing to educate him in the least restrictive environment (LRE) during the 2011-2012 and 2012-2013 school years? 11) Did the District deny Student a FAPE by failing to implement his IEP during the 2011-2012 and 2012-2013 school years? 12) Did the District deny Student a FAPE and/or significantly impede Parents from meaningfully participating in the IEP development process by failing to provide Parents with progress reports as required in the IEP during the 2011-2012 and 2012-2013 school years? 4 As will be discussed further in the body of this Decision, Student failed to provide specifics in his complaint, his PHC statement, verbal statements at the PHC and hearing, and in his closing argument what acts or omissions of the District he claimed were either procedural or substantive violations. He did not make an opening statement, which further confused his contentions. Therefore the ALJ has, in relation to some issues, been forced to surmise or infer from the pleadings and proceedings, what these acts or omissions were. The District argues that it assessed Student in all areas of suspected disability and these assessments met all legal requirements. The District claims that although Student’s eligibility category was changed in the February 2012 IEP, this did not result in him being denied a FAPE. Further, when Student began struggling with not completing assignments in the 2012-2013 school year, it made various offers to have him assessed by several entities, but Parents revoked their previous consents for these assessments so they could not be done. The District contends that it followed all procedural requirements during the IEP development process, implemented the one IEP Parents consented to, and provided Student with the services, accommodations and modifications he needed for a FAPE. 1. Student is presently 11 years of age and has resided with Parents within the boundaries of the District since at least kindergarten, his 2007-2008 school year. He attended District schools until the 2010-2011 school year when he began attending a charter school outside the District. He returned to the District and began attending school at Weimar Hills Middle School in a general education, fourth grade class, in November or December 2011. 2. Student became eligible for special education services at the end of his first grade year, in 2009. Student suffers from a conductive hearing loss in his left ear. The hearing loss was due in part to repeated ear infections, and a subsequent growth in his left ear, which was probably due to those infections, and removed in surgery. The surgery also involved reconstruction of the bones in Student’s middle ear. His current hearing loss is described as mild, and only in his left ear; he has normal hearing in his right ear. 3. As will be discussed below, Student receives excellent grades, and obtains high scores on standardized, state-wide, achievement tests. He does have an aversion to completing handwritten assignments. People who have worked with Student and/or assessed him in the educational setting since at least 2010, have not seen any indication that Student’s mild hearing loss affects him in any way in the classroom, or prevents him from accessing the general education curriculum. 4. Due to Student’s recent transfer back into the District, an IEP team meeting was held on December 19, 2011. Mother requested, and the IEP team determined, that Student’s triennial assessment should be advanced so that the District could conduct assessments in the following areas: psycho-educational, audiology, OT, and speech and language. These assessments were conducted in early 2012. An IEP team meeting was held on February 27, 2012, to discuss the assessments and develop an IEP. 5 At the hearing Student’s representative attempted to introduce evidence that Student should have been assessed to determine whether he is dysgraphic (a disability that causes a person to have difficulty producing written work). However, this was not identified as an area of suspected disability in the complaint. 6. There was insufficient evidence that the District’s proposed assessments following the December 2011 IEP team meeting, were inadequate to assess Student in the areas of disability it should have suspected at that time. As part of the early triennial assessment in early 2012, an audiologist from the Placer County Office of Education (PCOE) conducted an assessment to determine whether Student was able to listen and understand the verbal communication occurring in his classroom. 6 The assessment confirmed that he could. In addition, a PCOE speech and language pathologist conducted an assessment to see if Student’s hearing loss affected his ability to communicate effectively and access the educational curriculum, and found that it did not. 6 The District is part of a Special Education Local Area Program (SELPA) that is part of PCOE. SELPA’s provide a variety of resources to the school districts they serve. 7 Mother was adamant throughout the hearing that Student’s hearing loss was the cause of the behaviors that District personnel believed were signs of ADHD. She also testified that Student was evaluated at age four by a specialist and found not to have ADHD. Further, his pediatrician assessed him for ADHD, as recently as April 2013, and he was not diagnosed as having ADHD. Of course, it is uncertain what information Parents provided to the pediatrician and other assessors. 8. Kenneth Kolster, the school psychologist who administered some of the District’s psycho-educational tests and prepared that assessment report, reviewed previous school records. This included a neuropsychological evaluation of Student prepared by an independent (not employed by the District, or under the direction of the District) neuropsychologist in 2010. The findings in that report, based on testing using different assessment tools than those used by Mr. Kolster, showed that the independent assessor suspected Student might have ADHD. Additionally, Mr. Kolster observed Student in the classroom as part of his assessment. 9. Student presented very little evidence at hearing that the District failed to assess him in all areas of suspected disability in early 2012. There was an undated letter from Parents to the District, in Student’s exhibits, asking for specific assessments in many areas, as well as giving specifics about what some of the assessments should include and/or address. However, there was no evidence when, or if, this letter was sent to the District at the time of the triennial assessments conducted in January and February 2012. And the content of this letter suggests that it was sent to the District after Parents had retained the services of Dr. Closson. 10. In October 2012, Mother asked that an IEP team meeting be held to discuss her concern that Student was bringing home such an extensive amount of uncompleted classwork and that he was spending three to four hours each afternoon and evening trying to complete it. The school’s policy calls for fifth grade students to have no more than one hour of homework each night. Excessive homework was not an issue in the fourth grade, but there was evidence that Student’s fourth grade teacher reduced the amount of classwork he was required to do so that this would not be a problem. 11. An IEP team meeting was held on November 6, 2012. At this time, Parents told the team that Student’s difficulty completing work in class was due to his hearing impairment. They provided the IEP team with three published articles to substantiate this contention. 12. The District suggested another audiology assessment of Student be conducted by a PCOE audiologist to determine whether Student’s lack of classwork completion was due to his hearing impairment, and Mother signed consent for this assessment. It was later decided by the District that involvement of a PCOE deaf and hard of hearing (DHOH) teacher would be helpful in determining whether Student’s struggle with work completion at school, especially writing tasks, was related to his hearing loss. Mother signed a consent form for this assessment in late November 2012. However, Parents subsequently revoked both consents. 13. Another IEP team meeting was held on December 11, 2012, which the District designated as the annual IEP team meeting, although an annual IEP team meeting was not due to be held until February 2013. Dr. Closson attended this meeting as an advocate for Student and insisted that this December IEP team meeting was a follow-up to the November IEP team meeting when Student’s excessive time doing homework was discussed. Dr. Closson suggested that Student be assessed by the California Diagnostic Center in Fresno to determine the cause of Student’s inability to complete classwork at school.8 Dr. Closson indicated that he was familiar with the personnel and procedures of the Fresno Diagnostic Center, and trusted them to complete a thorough and informative assessment. The District and Parents completed the paperwork necessary for this assessment to occur, and the packet was sent to the Diagnostic Center in Fresno. 8 Pursuant to Education Code section 59200 et seq., the California Department of Education operates three Diagnostic Centers in California, to which school districts in California can refer students for assessment without cost to the school district or parents. 14. 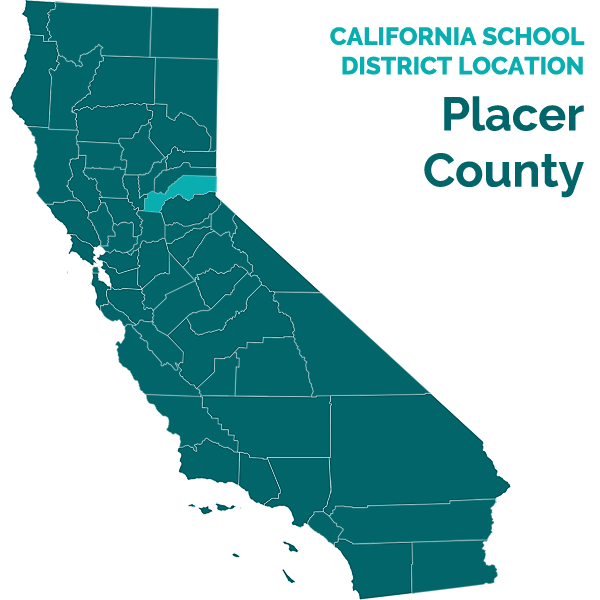 Dr. Closson was unaware that the three California Diagnostic Centers are each limited to assessing students in their own specific geographic areas, although the District IEP team informed him of this at the meeting. Therefore, when the Fresno Diagnostic Center received Student’s packet, it sent a letter to the District declining to assess Student, and informing it that the Northern California Diagnostic Center in Fremont was the appropriate Diagnostic Center to assess Student. The District and Parents completed the paperwork for the Fremont Diagnostic Center to assess Student. However, on or about April 15, 2013, the day before personnel from the Fremont Diagnostic Center were to arrive in the District to conduct initial school site observations, Parents revoked their consent for this assessment. Subsequently Parents and the District agreed that the California Assessment Center for the Deaf and Hard of Hearing could assess Student. The California Assessment Center for the Deaf and Hard of Hearing is affiliated with the California School for the Deaf in Fremont. At the time of the hearing, this assessment was still pending. 15. The evidence established that the District made good faith efforts following the November 6, 2013 IEP team meeting, to have further assessments conducted to determine the cause of Student’s inability to complete classwork at school. The evidence also established that Parents impeded the assessment process by revoking consents for those assessments. Accordingly, Student did not establish that the District failed to assess him in all areas of suspected disability following the IEP team meeting of November 6, 2012. 16. A school district’s assessments shall be conducted by trained and knowledgeable personnel. Individually administered tests of intellectual or emotional functioning shall be administered by a credentialed school psychologist. In conducting an assessment, a district must use a variety of assessment tools and strategies to gather information about the student. No single measure or assessment shall be used as the sole criterion for determining whether a student is a child with a disability or for determining an appropriate educational program for the student. Tests and assessment materials must be validated for the specific purpose for which they are used; must be selected and administered so as not to be racially, culturally or sexually discriminatory; and must be provided and administered in the student’s native language or other mode of communication unless this is clearly not feasible. 9 The speech and language therapist who conducted the speech and language assessment was not called as a witness, and there was no evidence or contention that the assessment she conducted was flawed, so no findings are made in this regard. 18. Kenneth Kolster conducted the psycho-educational assessment of Student. Mr. Kolster has worked in public education for 29 years as either a school psychologist, and/or a school principal. He is credentialed as a school psychologist by the State of California, and also holds an administrative credential. This is his third year with the District. He currently is the school psychologist for the District on a part-time basis, but for the past two years he was also the District’s special education coordinator. Previously he was employed by small school districts that are now part of the Twin Rivers Unified School District in Sacramento County. 19. Mr. Kolster administered the following assessments of Student: Wechsler Intelligence Scale for Children—Fourth Edition (WISC-IV), and the aforementioned, Conner’s assessments. As previously discussed, he reviewed the previous neuropsychological evaluation from 2010, school records and other previous assessments. In addition, he interviewed Student, his teacher, and Mother, and observed Student in the classroom setting. As part of the psychoeducational assessment Mr. Kolster also reviewed and considered the results of the Wechsler Individual Achievement Test—Third Edition (WIAT-III) that was administered by the RSP teacher, Jean Kelley, and the results of the Beery-Buktenica Development Test of Visual-Motor Integration (VMI), conducted by Student’s occupational therapist, Gayle Hamm. Student did not present evidence that the psycho-educational assessment, in its entirety, did not meet legal requirements, and the testimony of Mr. Kolster and other witnesses, and the assessment report he produced, established that it did. 20. Ms. Kelley has been employed in the field of education for 25 years. She obtained a multiple subject credential in 1990, a math credential in 1991, a learning handicapped credential in 1992, a clear resource credential in 1993, and a certificate of competency in autism in 2011. Ms. Kelley has a deaf brother-in-law, and a son with ADHD. She has provided services to several DHOH students during her years as an RSP teacher. She has administered the WIAT-III hundreds of times. 21. Student did not present any evidence that Ms. Kelley administered the WIAT-III incorrectly, nor any evidence that this assessment tool was not validated, or was discriminatory. The evidence established that Ms. Kelley’s administration of the WIAT-III met all legal requirements. 22. Ms. Hamm administered the VMI to Student, which was part of the psycho-educational assessment, and also conducted a triennial OT assessment of Student, for the February 27, 2013 IEP team meeting. Ms. Hamm has been an OT for 33 years. She is appropriately licensed, and her experience is primarily in pediatric/school-based services. She has worked in the District since 2007. She has been Student’s occupational therapist whenever he has been enrolled in the District and had OT services. Ms. Hamm’s OT services for Student have addressed both gross and fine motor deficits. She has worked with Student’s PE teacher to address his gross motor deficits, and his classroom teachers to address fine motor and (previously much more pronounced) sensory deficits. 23. Student’s fine motor deficits impact his handwriting, but Ms. Hamm believes other factors may also be impacting his ability to produce written work. She believes Student should not be exited from receiving OT services, unless further assessment establishes that he should. Student has made progress in improving both his gross and fine motor skills as the result of the OT she has provided him. 24. Ms. Hamm administered the VMI to Student that was part of the psycho-educational assessment report. She administered other assessments to Student, both formal and informal, which informed her opinion in her own OT report that Student required individual OT services. This assessment report was addressed at the February 27, 2012 IEP team meeting. There was no evidence that Ms. Hamm’s assessment did not meet all legal requirements. 25. Christina Barbao, Au.D., is a doctor of audiology, a licensed audiologist, and an educational audiologist. She has been employed by PCOE for four-and-a-half years. Dr. Barbao conducted a “listening assessment” of Student that resulted in a report dated February 16, 2012, that was addressed at the February 27, 2012 IEP team meeting. The purpose of this report was to determine whether Student, in spite of his hearing impairment, had the listening skills to access the curriculum in the general education classroom. 26. As part of her assessment, Dr. Barbao conducted the Rhode Island Test of Language Structures. This test is normed for both hard of hearing children in the eight to 10 year old range, as well as hearing children. The child is shown three pictures and given three spoken sentences, and then asked to respond to questions. Student scored in the 93.7 percentile compared to hearing children, and in the 97.4 percentile compared to hard of hearing children. 27. Dr. Barbao also conducted the Test of Auditory Comprehension. This test is presented with a tape and requires children to identify sounds with an increasing level of background noise. The test is normed for children with hearing loss. Student’s scored perfectly on the first nine subtests, and had two errors out of 10 on the final subtest. He passed each subtest. The results of both tests administered by Dr. Barbao led her to recommend preferential classroom seating for Student so he could observe his teacher’s mouth, and having the teacher repeat questions or comments from other students in the classroom who might not be readily audible to Student. Student had previously rejected an FM system that he had used a few years earlier because, as Parents explained, it made him feel self-conscious, and Dr. Barbao acknowledged this in her assessment. 28. There was no evidence that Dr. Barbao was not qualified to do the testing she conducted. Nor was there evidence that this testing did not meet all legal requirements. It is also noteworthy that her testing did not establish that Student’s hearing impairment affected his ability to hear what was being said in the classroom, or to access the curriculum. Dr. Barbao’s credible testimony was very effective in establishing that Student’s hearing impairment was not the cause of his inability to complete classwork. 29. Before the IEP team meeting of February 27, 2012, Student’s 30-day IEP from December 19, 2011, reflected that he was eligible for special education under the eligibility category of other health impairments (OHI) with a secondary disability of hearing impaired.10 This appears to be the eligibility category that he had at his previous non-District school. OHI is a category sometimes used for students with ADHD. Mother had previously consented to at least one other IEP with OHI as the primary disability, and hard of hearing as the secondary disability. However, at the February 2012 IEP team meeting, Student’s primary eligibility category was changed from OHI to SLD. Student claims that this change in eligibility denied him a FAPE. 10 Student mistakenly claims that his previous primary eligibility category was hard of hearing, or hearing impaired. However, there was no evidence that established this was an eligibility category following his second grade year. 11 An average IQ ranges from 85 to 115. 12 An average standard score is in the range of 85 to 115. 30. An IEP must accurately describe a special education student’s unique needs and address those needs. Both the Individuals with Disabilities Education Act (IDEA) and California statues describe several eligibility categories that may entitle a child to receive special education services. One such category is hearing impairment, and another is SLD. 31. When Mr. Kolster conducted his psycho-educational assessment of Student in January and February 2012, he assessed Student’s cognitive levels using the WISC-IV. Student was found to have a full scale IQ of 113. 11 However, when Student was given a timed addition subtest, as part of the WIAT-III, his standard score was very low, 65, and in subtraction it was 70. 12 In contrast, some of his scores on reading subtests were above average. 32. One group of subtests on the WISC-IV, showed a low average processing speed with a standard score of 88, and when Student’s occupational therapist administered the VMI to Student, his motor scores were significantly below average, placing him in the second percentile for children his age. Student’s performance on similar testing that was done by the neuropsychologist in 2010, using different assessment tools, was much the same as his performance on the testing done by the District. 33. The Conner’s survey showed that Student, at school, had signs that he might have ADHD. However, Mother’s results were different, indicating behaviors at home that were much less indicative of ADHD. The neuropsychologist in 2010, administered a test directly to Student that indicated a strong likelihood that he had ADHD. 34. Based on the low math computation scores, and the low processing speed scores, coupled with Student’s high average intelligence, Mr. Kolster concluded that Student might have an SLD in the area of math due to a processing disorder, and this was supported by other evidence. Also, based on the results of Student’s teacher’s responses on the Conner’s, and his classroom observation of Student, as well as a file review that included the neuropsychologist’s evaluation, Mr. Kolster suspected that Student might have ADHD, but was unwilling to make that determination without confirmation from a medical doctor. 35. At the February 27, 2012 IEP team meeting, the results of all of the District and PCOE assessments were discussed by the team, which included Mother. It was determined by the team, including Mother, that a more suitable eligibility category for Student was SLD, and this was noted on the IEP. 36. Parents now seem to strongly believe that Student’s difficulty staying on task is a result of his hearing impairment. However, other than Mother’s testimony, this belief was not corroborated by the evidence. The evidence did establish that the IEP of February 27, 2012, accurately described Student and his unique needs as known at that time, and the IEP was designed to meet those needs, regardless of whether his eligibility category was hearing impaired or SLD. Further, this IEP provided Student with a FAPE. 37. Student claims that the District committed multiple procedural violations during the IEP development process. A procedural violation results in denial of a FAPE only if it impedes the child’s right to a FAPE, significantly impedes the parents’ opportunity to participate in the decision-making process regarding the provision of a FAPE to the child, or it causes a deprivation of educational benefit. 38. A school district cannot come to an IEP team meeting with a predetermined offer of placement, as that would deny a parent meaningful participation in the IEP decision-making process. A parent has meaningfully participated in the development of an IEP when she is informed of the child’s problems, attends the IEP team meeting, expresses disagreement regarding the IEP team’s conclusions, and requests revisions in the IEP. 13 Dr. Closson, on behalf of Parents and Student, refused to meet following the filing of the complaint, claiming it was unnecessary. However, there is no legal support for a suspension of the IEP development process after a due process complaint is filed. 40. Student did not present evidence that District personnel engaged in any actions during the 2011-2012 school year that might be construed as predetermination that affected Parents’ meaningful participation in the IEP development process. Nor was there evidence that the District did not consider Parent input in the IEP development process. There was evidence that District personnel and PCOE personnel engaged in extensive communication that centered on the IEP development process during the 2012-2013 school year, which Student attempted to prove was pre-determination by the District. However, this was not proven by the evidence at hearing. Each meeting will be discussed further below. 41. At this meeting, Mother asked the District to conduct new assessments of Student. Student’s triennial assessment was not due to be conducted until the spring of 2012. In response to this request, the District advanced the triennial assessment process and conducted triennial assessments of Student in January and February 2012, culminating in the IEP team meeting of February 27, 2012. The evidence did not establish that there was any pre-determination by the District prior to the meeting of December 19, 2011, and the evidence established that the District not only considered Mother’s input, but adopted her suggestion that the triennial assessment be advanced. 42. At this IEP team meeting the psycho-educational, OT, speech and language, and audiology assessments were discussed. Goals were created, and services were offered. Mother consented to the IEP developed at this meeting. There was no evidence that the District’s IEP team members did not consider Mother’s input, nor was there evidence that the District members pre-determined the result. The notes from that meeting reflect participation by Mother. 43. This meeting was requested by Mother because she was upset that Student spent three to four hours each school night on homework, and two more hours each weekend. It was District policy that a fifth grade student not have more than one hour of work coming home each day that needed to be completed. Student was not completing work that was expected to be done in class during the school day, and was therefore taking it home to finish. Attending the November 2012 IEP team meeting were Parents, Mr. Kolster, Mr. Schaumleffel, Ms. Hamm, Juli Longtin (Student’s fifth grade teacher), and Ms. Kelley. 44. At this meeting the IEP team discussed strategies, such as limiting the amount of homework Student was taking home and trying to find ways to encourage him to start working on assignments and completing them in class, so he would not take work home. The IEP team discussed whether an FM system or earplugs (suggested by Father) might decrease Student’s distractibility when doing work in the classroom. There was also discussion about individual assistance being provided during the school day to help Student meet a keyboarding goal from the February 27, 2012 IEP, since Mother also expressed concern at that meeting about whether Student was on target to meet the goal and asked whether he was getting individualized keyboarding instruction. 45. During the IEP team meeting, Parents presented the IEP team with several articles in support of their contention that Student’s off-task behavior in class was due to his hearing impairment, not due to ADHD, as some District staff suspected. Therefore, it was decided that the audiologist conduct an assessment in this regard to determine what strategies might help Student achieve schoolwork completion in class. And, as previously discussed, it was later suggested that a PCOE DHOH teacher determine whether Student’s writing difficulties were caused by his hearing impairment. 46. At this IEP team meeting, Parents also presented a document entitled “Parent Agenda,” in which they voiced their concerns about the amount of work Student was bringing home. They made several suggestions, which were subsequently adopted by the District, such as dictating responses for written tests and assignments, modifying assignments, verbal reinforcement, teaching organizational skills, and specialized instruction in keyboarding. The only suggestion not adopted by the District was that Student be assigned a dedicated one-to-one aide to help him stay on task. On November 9, 2012, Mr. Kolster telephoned Parents and left them a voicemail saying the District would not give Student a one-to-one aide, as they were exploring other strategies. There was no evidence that the District predetermined anything prior to this IEP team meeting, and the evidence established that the District considered parent input. 47. At some point following the November 6, 2013 IEP team meeting, Parents retained the services of Dr. Closson. Another IEP team meeting was then held on December 11, 2012. Dr. Closson attended the meeting, as did Parents. Also attending the meeting were Mr. Kolster, Mr. Schaumleffel, Ms. Hamm, Ms. Longtin, and Ms. Kelley. It appears from the evidence admitted at hearing that District personnel had some IEP “pre-meeting” contact with each other before this meeting. 48. The District brought a draft IEP to the meeting with suggested goals and services. It was at this IEP meeting that Dr. Closson suggested a Diagnostic Center assessment of Student, and this suggestion was wholeheartedly accepted by District team members. The evidence established that Dr. Closson talked at length on behalf of Parents. 49. The draft IEP contained language that allowed teachers to modify and shorten assignments. The District also proposed that it would provide Student with 90 minutes of specialized instruction each day, which subsequently became a scheme where two aides were pushed into the classroom daily to help keep Student on task when he was doing schoolwork. This support was supplemented by the RSP teacher also providing support during the school day, twice a week. Therefore, for a total of 90 minutes each day, Ms. Longtin’s classroom would have aide or RSP support, which would help Student stay on task and be more organized. The District believed this in-class support would enable Student to complete more work in class, and therefore take less work home. 50. Again, there was no evidence that District team members predetermined the offer. District personnel testified persuasively that the purpose of a draft IEP was that it was a starting point for discussion, not a pre-determined offer. Further, although there was evidence that District personnel exchanged emails and engaged in informal discussions so that meaningful suggestions could be made at a subsequent IEP team meeting, these discussions did not constitute an effort to pre-determine the IEP. 51. The IEP team meeting of December 11, 2012, did not result in a completed IEP. The IEP team, including Parents, decided that the IEP team would meet again. Dr. Closson’s suggestion that Student be assessed at the Fresno Diagnostic Center was agreed to by all members of the team, and an assessment plan was subsequently signed by Parents. There was no evidence that the District pre-determined the outcome of the December 11, 2012 IEP team meeting, nor evidence that the IEP team did not consider Parent input via Dr. Closson. 52. The IEP team met on January 22, 2013. Participants again included Parents and Dr. Closson, Mr. Kolster, Mr. Schaumleffel, Ms. Hamm, Ms. Longtin, and Ms. Kelley. In addition, Susan Watkins, a program specialist for PCOE, attended the IEP team meeting to act as a facilitator. 53. The IEP team meeting was seemingly successful. The draft IEP was revised on computer as the meeting progressed, with one or more goals modified, and another eliminated. Dr. Closson was again a very active spokesperson on behalf of Parents, and he announced at the end of the meeting that the IEP created at that meeting was one of the best he had ever seen, and assured the District that it should have Parents’ consent to the IEP drafted at this meeting within a few days. Dr. Closson also agreed that the IEP developed at this meeting would be the annual IEP for Student. There was no evidence that the District members of the IEP team did anything other than consult with one another prior to the IEP team meeting via email and personal contact to enable them to come into the meeting with accurate information and proposed goals to assist the entire team in developing an appropriate IEP for Student. And Parents and Dr. Closson were active participants, and their input was definitely considered. 54. Student presented many emails that were exchanged by District personnel and Ms. Watkins following the January 22, 2013 IEP team meeting. These emails were the result of communication from Dr. Closson a few days after that IEP team meeting. In stark contrast to statements made at the January 22, 2013 IEP team meeting, Dr. Closson now stated that the IEP produced at that meeting was the “the worst” he had ever seen, and Parents would not consent to the proposed IEP. Dr. Closson engaged in further communication with personnel at both the District and PCOE. The District continued to work on the draft IEP, revising goals, and discussing services, and attempting to arrange another IEP team meeting. There was no evidence, however, that these discussions constituted predetermination. A draft IEP dated April 3, 2013, was admitted into evidence as the most recent attempt by the District to engage Parents in the IEP process, but the evidence established that Parents unilaterally canceled this IEP team meeting. 55. When it became clear, based on communication from Dr. Closson in May 2013, that no further IEP team meetings would occur, the District sent Parents notice of its final offer, and final versions of proposed goals. Since it proved impossible to convene another IEP team meeting based on Dr. Closson’s and Parents’ actions, in spite of numerous attempts of the District to do so, and Student’s annual IEP should have been completed at the end of February 2013, the District had no choice but to make a final offer through the mail. However, other than modifications to the proposed goals, based in part on input from Dr. Closson via email and telephone, this offer was not substantively different than the offer in the IEP document developed at the January 22, 2013 IEP team meeting. The evidence did not establish that the District pre-determined this offer, nor that Parent input was not considered. 56. The IDEA and California education law require certain individuals to be in attendance at every IEP team meeting. In particular, the IEP team must include: (a) the parents of the child with a disability; (b) not less than one regular education teacher of the child, if the child is, or may be, participating in the regular education environment; (c) not less than one special education teacher, or where appropriate, not less than one special education provider of the child; (d) a representative of the school district who is knowledgeable about the availability of the resources of the district, is qualified to provide or supervise the provision of special education services, and is knowledgeable about the general education curriculum; (e) an individual who can interpret the instructional implications of evaluation results; (f) at the discretion of the parent or the district, other individuals who have knowledge or special expertise regarding the child, including related services personnel as appropriate; and (g) whenever appropriate, the child with a disability. 57. At hearing, Student fixated on the absence of an audiologist at IEP team meetings in November and December 2012, and January 2013. Dr. Barbao had attended the December 2011 IEP team meeting because the District wanted input concerning Student’s hearing impairment, and she attended the February 2012 IEP team meeting to discuss her assessment. No audiologic services were written into the February 27, 2012 IEP. 58. At the beginning of the 2012-2013 school year, as a courtesy to the District, Dr. Barbao visited Student’s classroom to ensure that he was seated in a location where he could hear and see the teacher. She was invited to the November 2013 IEP team meeting, but declined because she was not a current service provider for Student. The evidence established that since an audiologist was not currently providing services to Student, and had not performed a recent assessment, in addition to the fact that Parents did not request the presence of the audiologist, there was no legal basis for one to be present. 14 Mother executed a written waiver for the IEP team meeting of February 27, 2013, excusing the attendance of the school nurse. 60. Student did not provide specifics as to the service or services he claims the District denied without prior written notice being provided to Parents. The ALJ has inferred, based on the evidence produced at hearing, and Student’s complaint and closing argument, that the services in question were those of a dedicated one-to-one aide for Student. 61. A school district must provide written notice to the parents of a pupil whenever the district proposes to initiate or change, or refuses to initiate or change, the identification, evaluation, or educational placement of the pupil, or the provision of a FAPE to the pupil. The District provided Parents with a letter entitled “Prior Written Notice” on May 20, 2013. In this letter was the District’s current IEP offer, substantively the same as that which was developed at the January 22, 2013 IEP team meeting, as well as the latest version of proposed goals, which had been somewhat revised, based on input from Dr. Closson. 15 The letter was necessary because Dr. Closson was now telling the District that he would be filing a complaint with OAH on behalf of Student, and he and Parents would not participate in any further IEP team meetings. However, no mention was made in the letter of the District denying Student a one-to-one aide. 15 If the District’s offer in the May 20, 2013 letter, was substantively different than that which was developed at the last IEP meeting attended by Parents in January 2013, this would have been evidence of pre-determination by the District. 62. As previously discussed, Parents requested the services of a one-to-one aide at the November 2012 IEP team meeting. There was no evidence that the request was renewed at subsequent IEP team meetings. Even if it can be argued that the District should have provided Parents with prior written notice explaining why it refused their request for a one-to-one aide once it had made that decision in November 2012, Student failed to introduce evidence that failure to provide this notice resulted in a denial of a FAPE for Student, or denied Parents meaningful participation in the IEP development process. 63. Student claims his present levels of performance were not described in the February 2012, and draft IEP’s from the 2012-2013 school year, and this is a procedural violation which either denied him a FAPE, or denied Parents meaningful participation in the IEP development process because his present levels of performance were not described in the IEP’s. Under California special education law an IEP must contain a statement of measurable annual goals, and these goals must meet a student’s special needs as described in the IEP. The IEP must also contain a statement of how the child’s goals will be measured, and must show a direct relationship between the present levels of performance, the goals, and the educational services to be provided. 64. The second page of the IEP of February 27, 2012, is entitled “Present Levels of Academic Achievement and Functional Performance.” Student’s strengths are described as well as Parent Concerns, and this is followed by testing results from the California Standards Test (CST, sometimes referred to as Standardized Test of Achievement and Report, or STAR testing), which is administered to all students beginning in second grade to determine whether the student has met grade-level standards. 65. Following this information is a summary description of the results District’s recent psycho-educational assessment. Pre-academic/Academic Functional Skills are then discussed, describing the results of the WIAT III testing conducted by Ms. Kelley. The results of the speech and language assessment are discussed under the heading Communication Development. The OT assessment is discussed under the hearing Gross/Fine Motor Development. Student’s hearing loss is described under the heading Health. In addition, the observations of IEP team members at that meeting as to Student’s present levels of performance were recorded in the IEP document. There was absolutely no evidence presented by Student that these recorded present levels of performance were inaccurate. 66. In regards to the drafts from the IEP team meetings in December 2012, and January 2013, the pages from the previous IEP of February 2012, were included and updated at those meetings, , and after the January 2013 team meeting, they were further updated in anticipation of another IEP team meeting set for April 3, 2013. In addition, the IEP’s all contain goals, and each goal has a stated baseline that describes Student’s current performance in each area addressed by a goal. There was no evidence that Student’s present levels of performance were not documented in all the IEP’s that were drafted after May 29, 2011. 16 This lack of clarity was exacerbated by the advocate’s citations in both the complaint and closing argument to now non-existent federal regulations from 1997, which were replaced by new federal regulations in 2006. 68. The IEP of February 27, 2012, called for Student to receive 40 minutes of OT services each week. Student was pulled out of class one day each week for 30 minutes to receive these services from Ms. Hamm. However, the IEP also stated that the 40 minutes each week was for both individual and consultation services by Ms. Hamm, and the evidence established that Ms. Hamm did consult with Student’s classroom teachers and PE teacher. The draft IEP’s from the 2012-2013 school year reduced OT services to 30 minutes of individual services only, and the draft IEP’s were clear in this regard. 69. Following the IEP team meeting of November 6, 2012, the District decided to push aide support and RSP teacher support into Student’s class with the intention that the aides and Ms. Kelley would primarily work with Student to keep him on task when he was doing classwork to ensure a better in-school classwork completion rate. The aides and RSP teacher would also provide some assistance to other students. This change was not written into Student’s IEP until the IEP team meeting of December 2012, and was clarified by differentiating between aide and RSP teacher time in the January 2013 draft IEP. 70. An argument might be made that these push-in services constituted a change in Student’s IEP when they began in November or December 2012, and the IEP should have been amended to reflect them. However, not doing so was a procedural error, and Student did not establish that this either denied him a FAPE, or denied Parents meaningful participation in the IEP development process. In fact, Mother was aware of these services because she worked in the classroom as a volunteer most Wednesday mornings and present in the classroom when push-in services were provided to Student by aides or the RSP teacher. Student did not prove that the District failed to accurately describe services and supports for Student, and even if it did, he did not prove that this resulted in a denial of a FAPE, or denied Parents meaningful participation in the IEP development process. 71. Student claims that the District failed to provide him with adequate services and supports in his IEP and the classroom, to address many perceived (by Student) needs, and thus he was denied a FAPE. An IEP must state all of the services and supports that will be provided to a student based on the student’s unique needs. Each group of services and supports Student claims are inadequate will be addressed in accordance with how Issue 9 has been formulated. 72. Mother testified that Student’s running style, i.e., his gait and coordination, is unusual and atypical. Therefore, Student needs PT, OT, and/or APE to address this deficit. In addition, Student claims he failed to pass certain physical education (PE) testing, and his handwriting needs were not adequately addressed by the OT services that he was provided. Student did not present evidence at all about his need for PT, so this area will not be addressed. 73. Mother is concerned that Student’s OT was reduced from 40 minutes each week as stated in the February 27, 2012 IEP, to 30 minutes each week in the January 22, 2013 draft IEP, seeming to believe that Student was to receive 40 minutes weekly of direct OT service only. However, since the January 22, 2013 IEP, since later IEP offers were not consented to by Parents, his OT services remained unchanged. As previously discussed, the evidence established that Student received OT services as described in the February 27, 2012 IEP. 74. Mother believes that Student’s handwriting needs to be improved, and improvement has not occurred with Student receiving OT services. However, several witnesses, including Student’s fourth grade teacher, Heidi Wolfe, and fifth grade teacher, Ms. Longtin, as well as Ms. Hamm, established that Student’s handwriting was legible, and not atypical for his age. It appeared from the evidence that the concern with Student’s handwriting was that he had difficulty writing quickly, and this contributed to his reluctance in starting and completing assignments that required handwritten responses several sentences in length. As a result, the District provided accommodations to permit Student to dictate responses to questions requiring handwriting. Ms. Longtin testified that he was creative and imaginative when he dictated compositions to an adult. In addition, he had a keyboarding goal so that he could complete assignments that required written responses on the computer, and he was given shortened assignments by both Ms. Wolfe and Ms. Longtin, such as being required to answer fewer questions. Although math assignments required him to show his work with written responses, the number of problems he was asked to complete was reduced. 75. In December 2012, Student was involved in a physical altercation on the playground with a classmate. When such an event occurred, it was school policy that the students involved complete a handwritten account of the incident. The written report of both Student and the other child involved in the altercation showed that while the other child’s handwriting was so illegible he needed to dictate his response to a school secretary, Student legibly handwrote a paragraph describing his version of the events. 76. Another area of concern addressed by OT was a postural weakness of Student that made it difficult for him to maintain an upright seated position. As a result, he would sometimes slump over in his seat. Ms. Hamm and Student’s PE teacher, Nancy Arnold, worked together to address this through exercise to strengthen his core muscles. In addition, at some point Student was given a desk in the classroom designed for older students which encouraged an upright position. Student did not produce evidence that he required additional OT to address his needs in the areas of handwriting or postural weakness, or indeed in any other area. 77. Ms. Arnold testified and described Student’s performance in her general education PE classes for both the 2011-2012 school year, and the 2012-2013 school year. Ms. Arnold received her bachelor’s degree in 1978, and thereafter worked as a substitute teacher in the Burbank Unified School District, then as a part-time PE and health teacher in the same district. She moved to the Weimar area in 1994 and has been at Weimar Hills since then either full or part time. Ms. Arnold has a single subject teaching credential in PE. 78. At the end of each school year, beginning with fifth grade, (the 2012-2013 school year for Student), California students in grades five, seven and nine are tested in the areas of cardiorespiratory endurance, muscular strength and endurance, and flexibility.17 The testing is governed by standards from the California Department of Education. A total of five tests are administered: a mile run that must be completed within a certain time, based on the student’s age and gender; a certain number of pushups, and curl ups that must be completed, again based on the student’s age and gender; and for flexibility a test called “sit and reach” and another called “trunk lift,” both of which require certain results for a student to pass the them, again based on age and gender. 17 Ed. Code § 60800. 79. Although it appeared during the hearing that Student was focusing on his failure to pass some of these tests in fourth grade and the beginning of fifth grade, the evidence established that Student is not particularly skilled in athletics, so it was not surprising that he failed four out the five tests at the end of the 2011-2012 school year. A letter was sent home to Parents informing them of the results. At the end of fifth grade Student passed all five tests, even though some of the standards had increased since he was now 11 years of age and required to reach higher levels of achievement for some tests. In fact, Student won the award for “most improved” in fifth grade PE that school year. 80. Ms. Arnold’s testimony was very persuasive that Student did not require APE to receive educational benefit. She responded to questions in a direct manner, hesitating only to consult her records when necessary to respond to a question. She did not find Student’s running style be atypical, although it was probably not as coordinated as many other students of the same age/grade level. Ms. Arnold has worked on weekends for many years on a volunteer basis with children who are considered to be very disabled, most if not all of whom require APE in the education setting. Based on her many years of volunteer work, as well as her education and experience in the area of APE, Ms. Arnold was very credible in establishing that Student did not require APE in order to make educational progress. 81. Student claims he needed specialized instruction in the areas of math, typing, and essay composition (grammar and mechanics) for the 2011-2012 and 2012-2013 school years. However, Student did not present evidence, other than the testimony of Mother in this regard, and that testimony was sparse and insufficient to establish that he required specialized instruction in these areas, and contradicted by other credible witnesses. 82. Although Student had low triennial assessment scores in math fluency that justified the finding that he has an SLD, there was no evidence that he required specialized instruction in this area. His low scores were in timed testing, requiring handwritten answers, which showed a deficit in processing speed, not knowledge. When he was not timed, he accurately completed math calculations and problems, and understood math concepts. The evidence established that Student’s needs in math could be addressed through modifications and accommodations, and these were provided to him. 83. Student’s difficulties in composition were due to difficulty putting his thoughts on paper by handwriting, partly due to fine motor issues addressed in OT. Therefore, he was allowed to dictate written assignments and tests to an adult. Again, the evidence established that his needs in this area were addressed through modifications and accommodations, and these were provided to him. 84. In regards to Student’s typing or keyboarding skills, the February 27, 2012 IEP contained a keyboarding proficiency goal because Student had such difficulty producing handwritten assignments, so it was decided that keyboarding was a skill he needed so he could type, rather than handwrite assignments. In fifth grade, the 2012-2013 school year, Student received keyboarding instruction with most of the other students in his classroom. At the November 6, 2012 IEP team meeting, Mother expressly asked if Student was keeping up with the rest of the class in keyboarding, which he was, and asked about individual instruction for him. 85. In response to Mother’s concern about individual keyboarding instruction, District personnel decided that he would receive additional assistance in meeting this goal by giving him an additional 15 minutes of keyboarding instruction during the school day using computers in the back of his classroom, and the District installed the keyboarding program on one or more of those computers. However, Mother then complained that Student was being removed from regular classroom instruction for this additional instruction, so it was stopped after a few weeks. The evidence established that the 15 minutes did not interfere with any substantive academic instruction, and other students in the classroom were often working on the computers in the back of the classroom when Student received this additional instruction. 86. In fourth grade, the 2011-2012 school year, Student’s CST testing scores in both math and English language arts (ELA), which included both reading and writing components, were in the advanced range. In his fifth grade year, the 2012-2013 school year, Student’s scores were in the advanced range in ELA and science, and at the top of the next highest range, “proficient,” in math. These examinations are untimed, and Student took them without any modifications or accommodations, often finishing before other students. 87. Student’s grades at the end of his fourth grade year were all A’s and A-’s, with the exception of math, in which he earned a B+, and PE, in which he earned a P for passing, as PE was graded pass or fail that school year. In fifth grade Student earned final grades of A’s and B’s in all subjects, including a B in PE. Again, this supports the finding that Student presented no evidence to support his contention that he required specialized instruction in any academic area. 88. Although Student’s teachers in both fourth and fifth grades routinely modified his assignments so that he was able to complete them in a shorter period of time, the evidence established that Student learned what was required of typical peers, at his grade level, in spite of these modified assignments. Based on Student’s CST scores and grades, as well as the testimony of his teachers and other school personnel, Student did not establish that he had a need for individualized instruction in any area. 89. Student claims he needs a one-to-one aide to help him stay on task in the classroom so he can complete assignments and not take home excessive work to be completed. The evidence established that Student did not bring home excessive homework during the 2011-2012 school year because his fourth grade teacher, Ms. Wolfe, shortened assignments for him. However, when he began fifth grade in the fall of 2012, the amount of classwork increased, and more homework came home, resulting, as previously discussed, in Student spending three to four hours each night at home trying to complete his assignments. 90. At the IEP team meeting on November 6, 2012, Parents requested a one-to-one aide for Student, for all academic subjects, to keep him on task so he could complete in-class assignments at school. Instead, Ms. Longtin reduced Student’s assignments in all areas where he was having difficulty completing his work, and did so in such a way that he did not lose educational benefit.18 In addition, Ms. Longtin, who was a compelling and credible witness, testified that she told Parents that if Student could not complete the work he brought home each day in one hour, because that was sufficient time for him to spend, they should simply let her know that what he brought in the next day was what he could accomplish in one hour.19 Student presented no evidence or testimony to refute this. Therefore, it appears that the excessive time Student spent on homework was due to Parents not allowing, nor compelling him to stop when he had spent an hour doing homework in the evening. Further, at the IEP team meeting on January 22, 2013, after the District instituted the accommodation of providing more in-class adult support, and Ms. Longtin reduced assignments for Student, Parents advised the IEP team that Student was only spending an hour-and-a-half each night completing the work he brought home. 18 There was no doubt, based on the evidence presented at hearing, that Student is very bright, and very capable of learning the curriculum by attending to classroom instruction, and completing the work he is able to do, even without adult assistance to keep him on task in class. 19 Ms. Longtin was an impressive witness. She presented as a dedicated teacher who loves her work and her students, and utilizes a wide variety of teaching methodologies to keep her students engaged, and learning. 20 Many positive behavior interventions in the school setting utilize a system of positive reinforcement which may include strategies where the student earns small rewards for demonstrating the desired behavior. 91. Ms. Wolfe testified that when Student was in fourth grade, he completed less work in class when provided with aide support. In addition, several witnesses expressed sincere concern that a one-to-one aide in class could discourage Student from learning to independently complete work in class, and would be stigmatizing. Student failed to establish that he required dedicated full-time one-to-one adult support to obtain educational benefit and a FAPE for either the 2011-2012 school year, or the 2012-2013 school year. 93. An IEP must contain measurable annual goals. Failure to develop objective measurable goals is a procedural violation. 94. Student had four goals in the February 27, 2012 IEP. All were measurable. For example, his fine motor/writing goal called for him to achieve “line and/or column alignment at 80% on 2/3 samples.” Short-term objectives called for 60 percent alignment by the end of the 2011-2012 school year, and completion of the goal by November 2013. 95. In its prior written notice of May 20, 2013, the District included the final version of goals it was proposing. There were five goals. A review of these goals show that they are measurable and objective. For example, a goal concerning “time on task” showed a baseline of “[Student] was on task 12% of the period (five minutes out of 40 minutes) during an independent assignment with multiple teacher prompts including the setting of a timer, verbal reminders, signals, etc.” This baseline was established through classroom observation and data collection. The goal itself reads, “by 12/11/2013, [Student] will be on task 50% of the period during an independent assignment with multiple teacher prompts including the setting of a timer, verbal reminders, signals, etc.” Short-term objectives are established for June 1, 2013, at which time Student is to be on task 25 percent of the time; November 15, 2013, when Student will be on task 35 percent of the time; and March 15, 2014, at which time he would be on task 45 percent of the time. Student provided no evidence as to which, of any of the goals in the February 27, 2012 IEP, and the May 20, 2013 IEP offer, were not measurable. 96. In terms of objectivity, Student seemed to object to goals for which progress was measured by teacher grades. However, there was no evidence that Student’s teachers did not grade him objectively. 97. Student contends that the District should have made sure that personnel who provided him with services were trained to work with students who are DHOH. This issue is premised on Student’s contention that his difficulties in school are nearly all related to his hearing impairment, and this causes behavior that mimics ADHD. However, only Mother’s testimony, Parent comments in IEP team meetings, and articles Mother provided to the IEP team on November 6, 2012, support this contention. 98. There were three articles, one of which was not legible because the printout cut words off at the end of each line. The ALJ reviewed the two legible articles and noted that while the premise in both was that hard of hearing children require specific services by experts in the area of hearing impairment in the school setting, Student did not fit into the descriptions of children with hearing impairments who mimic the behavior of children with ADHD. The major differences were Student’s excellent grades and test scores, and the evidence that he understood classroom instruction and conversation whenever someone checked in with him. In addition, Dr. Barbao established that children who have hearing impairments that result in behaviors that might mimic ADHD have a much more severe hearing loss than Student. 99. As previously discussed, in response to Parents’ contentions concerning Student’s hearing loss, the District attempted to further assess Student to determine whether his hearing impairment affected him in the educational setting. These attempts were thwarted when Parents revoked their consent for the assessments before they could occur. 100. It is important, of course, that school personnel who work with a student with special needs be trained in how to respond to and interact appropriately with that student, and provide that student with appropriate supports and services. Ms. Wolfe, Ms. Longtin, and many other witnesses who worked closely with Student during the two school years at issue in this case testified very credibly that Student did not appear to be impacted by his hearing impairment. There was never any indication that he did not hear what was said to him. Certainly, he never asked anyone to speak more loudly, or to position themselves differently so that he could read their lips. 101. At the beginning of the 2012-2013 school year, Dr. Barbao came to Ms. Longtin’s classroom to ensure that the seating arrangements for Student would be appropriate for a child with a hearing impairment. Teachers and aides positioned themselves in relation to Student so that they were not speaking into the ear with the mild hearing loss. Teachers and aides periodically checked in with Student to make sure he understood spoken instructions. Each time this happened, Student responded in a manner that made it clear that he had no difficulty hearing what was said to him. The testimony of Ms. Wolfe, who herself is hard of hearing, was particularly persuasive in this regard. In addition, when asked questions during classroom instruction, Student would respond in a manner that made it clear that he understood the question, even when he was not facing the speaker. 102. The triennial assessment by Dr. Barbao in early 2012, was conducted specifically to ensure that Student was able to hear and understand what was going on in the educational setting. The findings in this assessment, and the credible testimony of every District and PCOE witness who worked with Student, confirmed the District’s position that Student’s mild hearing impairment did not impact him in the educational setting. Accordingly, District personnel did not require additional training in the area of working with deaf or hard of hearing students to effectively work with Student. 103. In his complaint Student claims the District failed to provide him with modifications and assistive technology to address his hearing impairment. The evidence established that Student had been provided with an FM system in second grade and possibly at the school he attended before returning to the District, but he did not like using the system because he felt it drew attention to him. Further, Mother testified that an FM system would not be a benefit to him because he has a conductive hearing loss. Student failed to present any evidence of any specific modifications or assistive technology that might have benefited him during the 2011-2012 and 2012-2013 school years. Therefore he cannot prevail on this sub-issue. 104. In his complaint Student claims that the District failed to provide him with necessary counseling. However, Student presented no evidence that he had any social-emotional problems that required counseling in the school setting. Accordingly, Student did not prevail on this sub-issue. 105. Again, in his complaint, Student claims that the District failed to provide Parents with counseling and training that they required. However, Student did not provide any evidence, of any kind, of counseling or training Parents required. Therefore Student did not prevail on this sub-issue. 106. Student claims that he was not educated in the LRE. A child with a disability must be educated, to the greatest extent possible, with typically developing peers, and should not be removed from those peers unless it is necessary to do so in order to meet his educational needs. Student received 30 minutes each week of OT that occurred outside of the classroom, and he does not dispute this removal. 107. As previously discussed, Student was provided with 15 minutes of keyboarding instruction in his classroom a few days a week following the November 6, 2012 IEP team meeting, because Mother seemed to believe he needed it. The extra keyboard practice was discontinued due to Parent complaint, but in any case, the duration of this removal to the back of the classroom for additional keyboarding practice was de minimus, and there was no evidence that Student was harmed by this brief practice period, or that it resulted in him being removed from the LRE. 21 It was difficult to distinguish in at least one case whether Student’s complaint was fresh, or a repeat of a previous complaint. 109. The evidence established that Ms. Longtin’s classroom is not a traditional classroom in the sense that students are seated in rows, given formal instruction by Ms. Longtin in lectures, and then required to complete worksheets, or respond to written questions in writing while staying in their seats. Instead, Ms. Longtin described her classroom as being an “open structure classroom.” Ms. Longtin’s classroom seating is arranged so that students are grouped with others in a way that each child’s strengths are maximized. She tries to bring children together who can bring out the best in each other and be socially and emotionally beneficial to each other. Each month she changes the seating and group members. Ms. Longtin rarely provides students with lecture-type instruction. Some of the time the various groups are engaged in activities that differ from group to group. 110. In terms of the allegations that Student was frequently left out of group activities, there was little evidence other than Mother’s log. In addition, there was evidence that at various times during the day in Ms. Longtin’s class, students were given the opportunity to finish incomplete work, while other students who had finished their work were engaged in other activities. The evidence did not establish that Student was singled out in this regard. Student failed to establish that he was not educated in the LRE for both the 2011-2012 and 2012-2013 school years. 111. In his complaint Student claims that the District did not implement his IEP. Failure to implement an IEP can result in a denial of a FAPE if the failure is major. However, minor deviations from an IEP do not violate the IDEA. 112. The only consented to IEP for Student is the IEP from February 27, 2012. Although draft IEP’s were developed at the IEP team meetings in December 2012 and January 2013, Parents did not consent to them. Therefore, the District could not implement them. Student did not present any evidence, nor did he argue in his closing brief, what acts or omissions the District committed that demonstrate a failure to implement his IEP. 113. In his complaint Student alleges that Parents were denied meaningful participation in the IEP development process because they were not provided with periodic reports about his progress on meeting IEP goals. Parents must be provided with progress reports related to a special education students goals periodically, as specified in the IEP. The District was on a trimester system, and progress reports were due three times a year. 114. There was no testimony from any witness to substantiate this claim that the District failed to provide Parents with progress reports. There were one or two cryptic, handwritten notes by Mother on documents admitted into evidence seeming to remind her to ask about progress reports. However, there was no direct testimony from Mother or any other witness that established that the District did not provide Parents with timely progress reports. Progress reports from the end of the 2012-2013 school year were admitted into evidence. However, even if the District did not provide progress reports in a timely manner, this was a procedural violation, and Student did not establish that this denied him a FAPE, or impeded meaningful participation in the IEP development process by Parents. 1. Under Schaffer v. Weast (2005) 546 U.S. 49 [163 L.Ed.2d 387], the party who filed the request for due process has the burden of persuasion at the due process hearing. In this case, Student filed for a due process hearing and therefore bears the burden of persuasion, which means that he must establish, by a preponderance of the evidence, the facts that support his claims through testimony and documentary evidence. Neither his complaint nor his written closing argument is evidence. Issue 1: Did the District deny Student a FAPE by failing to assess him in all suspected areas of disability from May 29, 2011, to the present, specifically in the areas of hearing loss and ADHD? 6. Legal Conclusions 2-3, and Factual Findings 1-15, establish that the District did not deny Student a FAPE by failing to assess him in all suspected areas of disability, specifically in the areas of hearing loss and ADHD. The evidence established that the District did conduct appropriate assessments in January and February 2012, based on the information it had at that time. For example, Dr. Barbao conducted an audiology assessment of Student to determine whether his hearing loss affected his ability to listen and understand classroom instruction. A speech and language pathologist conducted an assessment to determine if Student’s hearing loss affected his ability to communicate verbally. Mr. Kolsters administered the Conner’s to both Mother and Ms. Wolfe as part of his assessment, to determine whether Student required further assessment to see if he had ADHD. 7. Following the assessments in January and February 2012, when Parents voiced concerns about how long Student was spending on homework at the beginning of the 2012-2013 school year, the District suggested further assessment of Student by a PCOE audiologist, and a PCOE DHOH teacher. However, after initially giving their consent, Parents revoked consent for both assessments. Following a suggestion from Dr. Closson at the December 2012 IEP team meeting, the District cooperated by referring Student for assessment by the Fresno Diagnostic Center. When that Diagnostic Center rejected the referral, the District again cooperated by arranging for the assessment to be conducted by the Fremont Diagnostic Center. Again, Parents initially gave consent for that assessment, and then revoked consent the day before the initial observation of Student by the Fremont assessment team was to occur. Accordingly, Student does not prevail on this issue. Issue 2: Did the District deny Student a FAPE by failing to meet all legal requirements for the assessments it did conduct? 8. Legal Conclusions 2-5, and Factual Findings 1-15 establish that the District’s assessments did meet all legal requirements. Student failed to counter Dr. Barbao’s, Mr. Kolsters’, Ms. Kelley’s and Ms. Hamm’s persuasive testimony that they used a variety of assessment tools that were appropriate for the purpose of each assessment, and correctly administered them. All of them were very experienced in conducting assessments, and qualified to conduct them. The assessments were not discriminatory in any way, and administered in English, Student’s language. Student presented no evidence that the assessments did not meet all legal requirements and thus does not prevail on this issue. Issue 3: Did the District deny Student a FAPE by changing his eligibility category from hearing impaired to SLD at the IEP team meeting on February 27, 2012? 15. Legal Conclusions 14, and 16-19, and Factual Findings 37-55 establish that Student was not denied a FAPE by changing his eligibility category from hearing impaired to having an SLD. The evidence established that when Student returned to the District as a student in 2011, his eligibility category pursuant to his IEP was OHI, not hearing impairment, which was the secondary disabling condition in the IEP’s of December 19, 2011, February 27, 2012, and all the draft IEP documents from the 2012-2013 school year. The independent assessment from 2010 did suggest that OHI might be an appropriate eligibility category for him. However, regardless of what Student’s previous eligibility category was, the evidence established that the IEP developed by the IEP team in February 2012, and consented to by Mother, provided Student with a FAPE. Additionally, Student did not establish that the District incorrectly determined his primary eligibility to be SLD. Accordingly, Student does not prevail on this issue. Issue 4: Did the District commit procedural violations by predetermining Student’s IEP’s at the IEP team meetings since May 30, 2011, and also failing to consider Parents’ input at the IEP team meetings, thus significantly impeding Parents’ right to meaningfully participate in the IEP development process,? 20. Legal Conclusions 14 and 16-19, and Factual Findings 37-55 do not support a finding that the District predetermined Student’s IEP’s or denied Parents meaningful participation at IEP team meetings. The evidence established District IEP team members did communicate with each other both before and after the IEP team meetings, but Student failed to establish that this resulted in any predetermination. Further, the evidence established that Parents, whether personally or through their advocate, were active participants at IEP team meetings, and their comments and suggestions were listened to, considered, and in many cases adopted as part of the IEP. Accordingly, Student does not prevail on this issue. Issue 5: Did the District commit a procedural violation by failing to have all required personnel at the IEP team meetings occurring since May 30, 2011, thus significantly impeding Parents’ right to meaningfully participate in the IEP development process? 22. Legal Conclusions 14 and 21, and Factual Findings 56-57 establish that all required persons attended Student’s IEP team meetings, unless waived in writing by Parents. In raising this issue, Student specifically focused on the absence of an audiologist at the team meetings of November 6, and December 11, 2012, and January 22, 2013. Although Dr. Barbao was invited to the November 2012 IEP team meeting, she declined to attend because she was no longer a service provider to Student.22 Further, there was no indication that Student’s hearing impairment was impacting his ability to access the curriculum. Therefore, because Dr. Barbao was not a current service provider, and Student’s hearing impairment was not impacting his ability to access curriculum, she was not a required participant at the IEP team meetings held for Student during the 2012-2013 school year. Accordingly, Student does not prevail on this issue. 22 The visit by Dr. Barbao to Ms. Longtin’s classroom at the beginning of the 2012-2013 school year to ensure Student was optimally seated was not written into his IEP. 23 All references to the Code of Federal Regulations are to the 2006 edition, unless otherwise indicated. 23. A school district must provide written notice to the parents of a pupil whenever the district proposes to initiate or change, or refuses to initiate or change, the identification, evaluation, or educational placement of the pupil, or the provision of a FAPE to the pupil. (20 U.S.C. § 1415(b)(3); 34 C.F.R. § 300.503(a)(2006);23 Ed. Code, § 56500.4, subd. (a).) The notice must contain: 1) a description of the action refused by the agency; 2) an explanation for the refusal, along with a description of each evaluation procedure, assessment, record, or report the agency used as a basis for the refusal; 3) a statement that the parents of a disabled child are entitled to procedural safeguards, with the means by which the parents can obtain a copy of those procedural safeguards; 4) sources of assistance for parents to contact; 5) a description of other options that the IEP team considered, with the reasons those options were rejected; and 6) a description of the factors relevant to the agency’s refusal. (20 U.S.C. § 1415(c)(1); 34 C.F.R. § 300.503(b); Ed. Code, § 56500.4, subd. (b).) A district’s failure to provide adequate prior written notice is a procedural violation of the IDEA. Issue 6: Did the District commit a procedural violation by failing to provide Parents with prior written notice during the 2012-2013 school year as to why the District was denying Student services requested by Parents, thus significantly impeding their right to meaningfully participate in the IEP development process? 24. Legal Conclusions 14 and 23, and Factual Findings 59-61 do not support a finding that the District committed a procedural violation by failing to provide Parents with prior written notice as to why it was denying Student services of a one-to-one aide. Even if, arguendo, it did commit a procedural violation in this regard, there was no evidence that this impeded Parents’ right of participation in the IEP development process, or denied Student a FAPE. Although Parents requested the services of a one-to-one aide at the November 6, 2013 IEP team meeting, to help keep Student on task, Mr. Kolsters advised Parents that the District was denying the request via telephone, but did not provide them with prior written notice of this refusal. However, Parents did not renew this request at subsequent IEP team meetings. Therefore, the District was justified in believing that the request had been dropped and such notice was not required. The evidence established that the IEP development process was still ongoing until mid-May 2013 when Dr. Closson announced he and Parents were filing the OAH complaint in this matter and would not attend any further meetings. At this time, prior written notice was warranted to make a formal IEP offer.24 Student does not prevail on this issue. 24 There was no evidence that the offer made in the prior written notice of May 20, 2013, was substantively different than the offer from the last IEP meeting attended by Parents. Issue 7: Did the District commit a procedural violation that denied Student a FAPE, and/or significantly impeded Parents’ right to meaningfully participate in the IEP development process by failing to adequately describe his present levels of performance in the IEP of February 27, 2012, and the draft IEP’s developed during the 2012-2013 school year? 26. Legal Conclusions 14 and 25, and Factual Findings 63-66 establish that the IEP of February 27, 2012, and the draft IEP’s dated December 11, 2012, January 22, 2013, and April 3, 2013, all contained updated levels of performance, and the IEP team did make changes in them from meeting to meeting. In addition, the four goals in the February 2012 IEP contained baselines, and were adequate to inform the people responsible for helping Student meet his goals as to where he was at the time the IEP was written. Further, even if it were found that these baselines and levels of performance were not adequate descriptions, Student did not show that this procedural violation either denied Student a FAPE, or significantly impeded Parents’ right to meaningfully participate in the IEP development process. Therefore, Student does not prevail on this issue. Issue 8: Did the District commit a procedural violation that denied Student a FAPE, and/or significantly impeded Parents’ right to meaningfully participate in the IEP development process by failing to adequately describe the supports and services contained in Student’s IEP of February 27, 2012, and the draft IEP’s developed during the 2012-2013 school year? 27. Legal Conclusions 14 and 25, and Factual Findings 67-70 establish that the IEP of February 27, 2012, contained an adequate description of the supports and services that were to be provided to Student during the term of the IEP. Student was to receive a combination of direct and consultation OT services, and the evidence established that he did. In addition, to the extent that the draft IEP from the December 11, 2012 IEP team meeting, was vague as to proposed RSP teacher versus aide support, the evidence established that this was clarified in the revised draft from the January 22, 2013 IEP team meeting. Student did not present any evidence to support his claim that the IEP’s at issue in this case did not contain an adequate description of the supports and services to be provided Student. Accordingly, Student does not prevail on this issue. Issue 9a: Did the District deny Student a FAPE by failing to provide him with adequate services and supports in his IEP and in the classroom, including but not limited to PT, OT, and APE to address timing of motion, manual coordination, and sensory input as well as motor integration? 28. Legal Conclusion 2, and Factual Findings 71-80 do not support a finding that Student requires PT, additional OT, and APE, or any other services to address timing of motion, manual coordination, sensory input, and motor integration. Student’s argument in this regard was Mother’s comments that he did not run “normally,” and she was also concerned about his handwriting. However, Student did not present any evidence regarding a need for PT, and the testimony of both Ms. Hamm and Ms. Arnold established that he did not need more OT than the 40 weekly minutes of direct and consult service he was already receiving, and/or APE.25 Student also presented no evidence of any other services he might need to address these purported areas of need. Therefore, Student does not prevail on this issue. 25 Ms. Hamm was not questioned about the reduction of OT services that eliminated the consultation element in the draft IEP’s developed during the 2012-2013 SY. Issue 9b: Did the District deny Student a FAPE by failing to provide him with specialized instruction in the areas of math, typing, and essay composition (grammar and mechanics)? 29. Legal Conclusion 2, and Factual Findings 81-88 establish that Student does not require specialized instruction in the areas of math, typing, or essay composition. Student’s SLD is a processing speed issue as well as the fine motor coordination issue that was being worked on in OT; the evidence established that he understood math concepts. However, the need to write answers and show his work in math slowed him down and affected his scores in a timed testing situation. In regards to typing, the evidence established that he was making progress in line with his typically developing classmates. And after Parents requested individualized instruction in keyboarding which the District began, Parents then complained about it interfering with instruction in other areas which resulted in the District stopping the extra help. As for essay composition, again Student showed no sign that his performance in this area was less than that of his typically developed peers in the classroom. His scores of proficient and advanced in the CST, in ELA, in both grades four and five, as well as his high grades, support this finding. Again, as in completing timed math tests, Student’s difficulties in the area of composition were due to his fine motor deficits that affected his handwritten work, and his processing disorder. Accordingly, Student does not prevail on this issue. Issue 9c: Did the District deny Student a FAPE by failing to provide him with adequate services and supports in his IEP and in the classroom, including but not limited to a one-to-one aide in the classroom? 30. Legal Conclusion 2, and Factual Findings 89-91 do not support Student’s claim that he was denied a FAPE because the District would not provide him with a one-to-one aide in the classroom. The evidence established that Student did improve his work-completion rate with 90 daily minutes of adult support in his fifth grade classroom, which provided prompting when he got off-task. Student also benefited from modified assignments both school years at issue, as well as being allowed to dictate written assignments, and answers that required a written response (except in math where he was required to show his work). 26 It was readily apparent from the testimony of several witnesses that Student would have been very self-conscious if he had a dedicated, one-to-one aide to prompt him to get back on task continuously in class, especially since he did not require one. Further, it would have encouraged an unhealthy dependence on aide support. It is concerning that although Ms. Longtin told Mother that Student should not be working on school work more than one hour daily at some point in late 2012, Mother testified that he continued to do homework for three to four hours each night. But this testimony was then contradicted by evidence that Parents told the IEP team on January 22, 2013, that Student was completing work at home in one-and-a-half hours each day, once the 90-minute, daily support was instituted. In any case, Student failed to establish that he needed one-to-one aide support to meet his goals and obtain a FAPE. 26 Dictating answers and essays is a relatively common accommodation for a student who has difficulty producing written work. Issue 9d: Did the District deny Student a FAPE by failing to provide him with adequate services and supports in his IEP and in the classroom, including but not limited to behavioral supports to address his ADHD? 31. Legal Conclusion 2, and Factual Finding 92 do not establish that the District denied Student a FAPE because it failed to provide him with behavioral supports to address his ADHD. Student’s position in this regard is curious: Mother was adamant in her testimony, as well as in her interaction with the District during the pertinent time period at issue, that there is no evidence that Student has ADHD. When the District suggested that a behaviorist attend the IEP team meeting on November 6, 2012, because off-task behavior in completing assignments was to be discussed, Mother refused to let this happen. Student, throughout the hearing, and in his closing argument, insists that his difficulty in staying on task and completing classwork at school is due to his hearing loss. Although some District witnesses testified that they suspect Student has ADHD, he has never been formally diagnosed by either a medical doctor, or qualified mental health professional. Accordingly, Student failed to establish that he had ADHD, and that he needed behavioral supports to address this, and he does not prevail on this sub-issue. Issue 9e: Did the District deny Student a FAPE by failing to provide him with adequate services and supports in his IEP and in the classroom, including but not limited to measurable annual goals in his IEP? 32. Legal Conclusions 2, 14, and 25, and Factual Findings 93-96 establish that the District did not deny Student a FAPE by failing to provide him with measurable annual goals in his IEP’s. The goals in the February 27, 2012 IEP, and the final version of the proposed goals sent to Parents in May 2013, were measurable. Student does not prevail on this sub-issue. Issue 9f: Did the District deny Student a FAPE by failing to provide him with adequate services and supports in his IEP and in the classroom, including but not limited to personnel who were trained to work with students with hearing impairment? 33. Legal Conclusion 2, and Factual Findings 97-102 do not establish that Student required personnel who were specially trained to work with students who are hearing impaired, or other supports and services. Rather, the evidence established that Student’s hearing impairment caused him no difficulty in the classroom setting, and there was no evidence that he needed specially trained personnel to work with him or other supports and services. Student does not prevail on this sub-issue. Issue 9g: Did the District deny Student a FAPE by failing to provide him with adequate services and supports in his IEP and in the classroom, including but not limited to modifications and assistive technology to address his hearing impairment? 34. Legal Conclusion 2, and Factual Finding103 establish that Student failed to present any evidence that specific modifications and assistive technology were needed to address his hearing impairment, or any other special need. Mother insisted that because of the nature of his hearing impairment an FM system would not work, and the evidence established that Student performed adequately without it. There was no evidence concerning any other assistive technology that might have helped Student. Accordingly, Student does not prevail on this sub-issue. Issue 9h: Did the District deny Student a FAPE by failing to provide him with adequate services and supports in his IEP and in the classroom, including but not limited to counseling? 35. Based on Legal Conclusion 2, and Factual Finding 104 Student presented no evidence that he required any type of counseling. Accordingly, he cannot prevail on this sub-issue. Issue 9i: Did the District deny Student a FAPE by failing to provide him with adequate services and supports in his IEP and in the classroom, including but not limited to Parent counseling and training? 36. Legal Conclusion 2, and Factual Finding 105 support a finding that Student presented no evidence that Parents required any counseling or training. Accordingly, he cannot prevail on this sub-issue. Issue 10: Did the District deny Student a FAPE by failing to educate him in the LRE during the 2011-2012 and 2012-2013 school years? 38. Legal Conclusions 2 and 37, and Factual Findings 106-110 establish that the District did not deny Student a FAPE by failing to educate him in the LRE. It is surmised that this issue refers to the few weeks when Student was receiving typing instruction in the back of his classroom, and the few occasions when he needed to complete work in class before he could participate in other activities with classmates. Student was removed from the general education classroom only for OT, and that removal was not disputed. Although there was evidence that Student, for a period of a few weeks towards the end of 2012, went to the back of the classroom to work on keyboarding for a few weeks, this did not occur when instruction in other subjects was going on, nor was Student always the only person in the class working on the computers in the back of the classroom. In addition, there was no evidence that Student was continuously being prevented from participating in classroom activities because of work completion issues, nor was there evidence that this only happened to him. There was no other evidence of Student being removed from the general education classroom, or otherwise “isolated” from the other students. Nor was there any evidence that these brief removals denied him a FAPE. Accordingly, Student does not prevail on this issue. Issue 11: Did the District deny Student a FAPE by failing to implement his IEP during the 2011-2012 and 2012-2013 school years? 40. Legal Conclusions 2 and 39, and Factual Findings 111-112 establish that the District did not deny Student a FAPE by failing to implement the IEP of February 27, 2012. In fact, Student produced no evidence in this regard. Accordingly, Student does not prevail on this issue. Parents with progress reports as required in the IEP during the 2011-2012 and 2012-2013 school years? 42. Based on Legal Conclusions 2 and 41, and Factual Findings 113-114 Student did not establish that the District failed to provide progress reports to Parents concerning his progress on his goals. Further, even if progress reports were not provided to them in accordance with Student’s February 2012 IEP, there was no evidence that this resulted in a denial of a FAPE to Student or denied Parents meaningful participation in the IEP development process. Accordingly, Student does not prevail on this issue. Education Code section 56507, subdivision (d), requires that the hearing decision indicate the extent to which each party has prevailed on each issue heard and decided. The District prevailed on all issues decided.